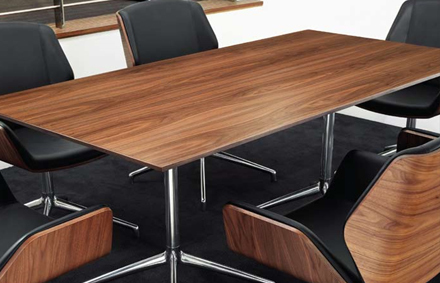 Kruze is a stylish, tabling solution for offices, meeting or breakout areas. 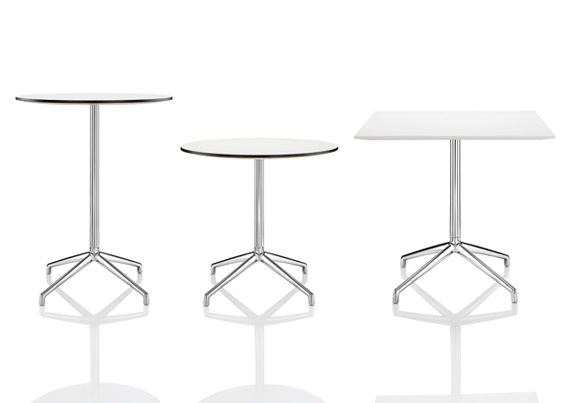 With stylish top finishes and a polished aluminium 4-star base the Kruze is a sophisticated tabling collection. By having a number of finishes available you can create a table to suit your existing decor or appeal to your individual design tastes. 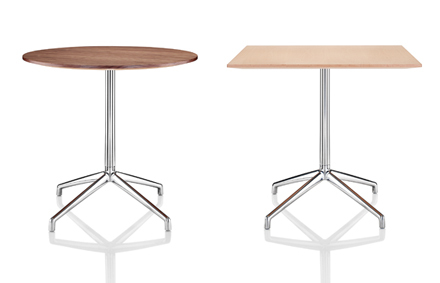 As standard, the finishes include; glass, white laminated or white beech, steamed beech or black American walnut veneer. For a completely coordinating office or reception area, the Kruze tabling range perfectly complements the Kruze seating range. Pairing the collection together will make any space look sleek and professional. To better fit into it's surroundings, the versatile collection of Kruze tables are available in two table top shapes and three heights. 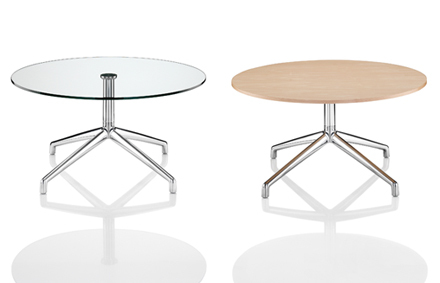 The range includes a 400mm option to be used as a coffee table, 720mm table for meeting areas or 950mm poseur tables.